I just, officially, turned 25! I remember my mom telling me, while we were having our lunch out, that she already got married at that age. And... Here I am, still wearing my cat ears headband. Teehee! I still feel young and I still want to be young, so my mom told me: "It's about time you get an anti-aging moisturizer, young lady." So, mom and I headed to Watsons after our lunch and went to the section where you can spot their anti-aging moisturizers. 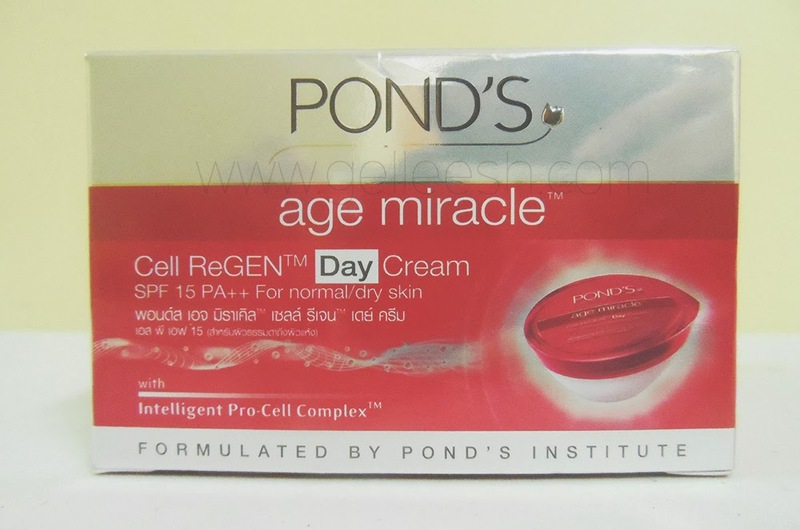 Mom is using Olay, but I want to try something different so I checked out Pond's and decided to get the Pond's Age Miracle Cell ReGEN Day Cream. Why I'm Using an Anti-Aging Moisturizer Now? They say skin aging starts, on an average, at 25; and since I just turned 25, I guess it's enough reason to start using one. Another thing is that premature aging can happen when you are frequently exposed under the heat of the sun and, I have to be honest... I hate bringing an umbrella and working for a non-profit organization will entail you to do field work; hence... Yes, you do the logic. And, honestly, isn't prevention better than cure? Start early on protecting your skin rather than regret it in the future. Anti-Aging Creams hurt nobody! 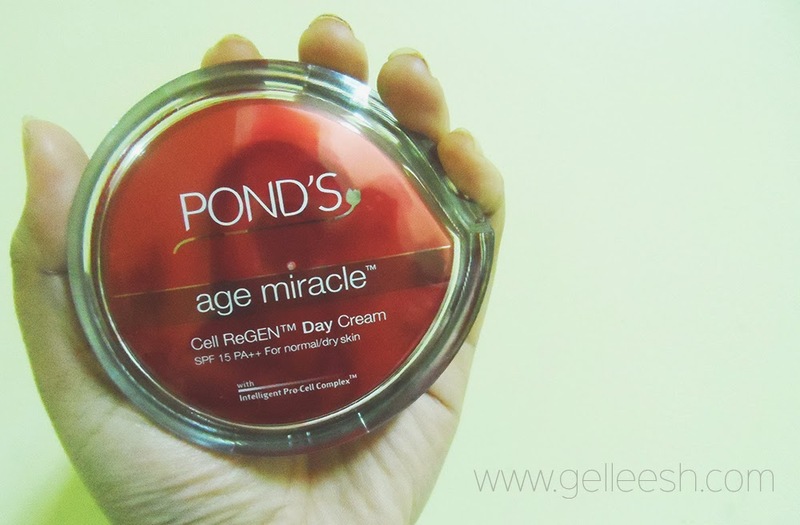 Why did I choose Pond's Age Miracle Cell REGEN Day Cream? This product has SPF 15, which can protect my skin from the harmful rays of the sun. Pond's has also already established a good name in the skin care industry so, I guess, that was one of the biggest reasons as well. For an Anti-Aging Cream, this product is also pretty inexpensive. Anti-Aging Creams don't come cheap, mind you so don't be fooled if you see an Anti-Aging Cream below P500.00 (although it's pretty possible if you'd be purchasing the smaller sized ones) but, normally, they don't come cheap. This product costs around P600.00+ so it's a good start for us who just turned 25! What are my thoughts so far? First of all, I like the classy-looking packaging of this product although dipping your fingers in the glass tub can be a bit unhygienic. It has a mature and lovely scent that I just love and it doesn't feel sticky even after having a long day. As for the result... Come on... You will only get to see the result once you get older and realize that you're skin is aging pretty slow. Thank God for Anti-Aging Moisturizers! Take care of your skin. This is not just because I am a beauty blogger but because every women needs to know this. Yes, it's our own choice if we'd want to try such measures to keep our skin's youthful glow but it also protects your skin and isn't it true that we should be loving our own body? This is not about wanting to look superficially beautiful, but more of taking that responsibility to take care of your skin because you, basically, live in it. Hi, Gellie! Thanks for sharing this. 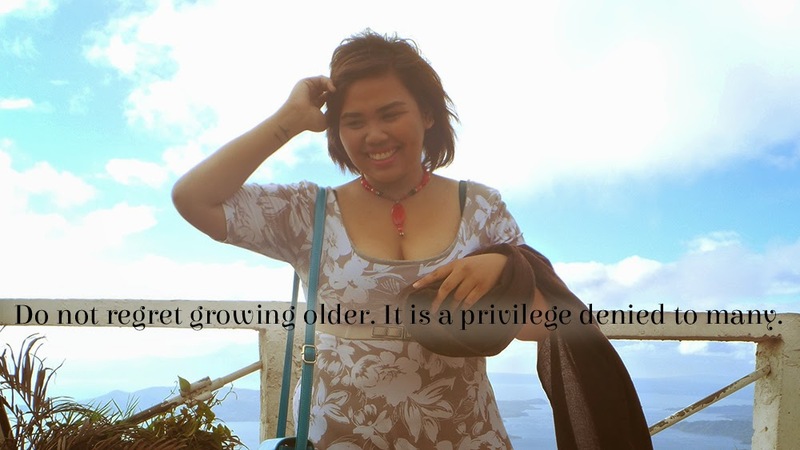 I recently turned 24, but been using anti-aging creams since I was 22. I haven't tried Ponds, but thanks to your review, I might do. Currently using SK II stempower moisturizer. It is really good. Hi Gellie! Thanks for this reviews, there is no second thought that Pond's Age Miracle is a wonderful anti aging solution, but I'm using dermology anti aging cream since I was 26 now I'm 30 and really enjoying the benefit of this cream. Thanks! Hey Gellie Hats off to you ! You have started early in life. I am sure the Anti Aging solution you have chosen helps you retain your youth and shine on your skin.